Contrary to the previous reports, Huawei P30 Pro only shows a triple camera setup instead of a quad camera setup. A number of high-quality images of the Huawei P30 and P30 Pro have leaked out online. Taking a glance at the images, it looks like the images may be part of the marketing material that Huawei may have planned to promote the devices at launch. 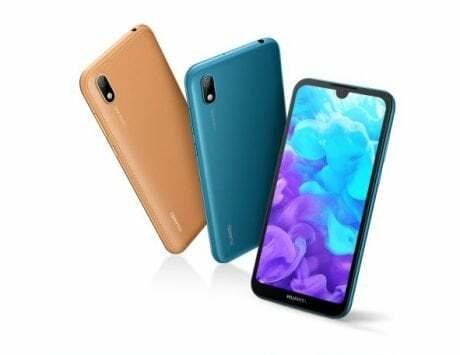 The images reveal the long-rumored design of the upcoming flagship lineup from Chinese smartphone maker Huawei. Looking at the renders, it seems like the previous leaks and renders were correct as the smartphone will come with three cameras stacked in a vertical setup on the top left corner of the smartphone with a LED flash module. The back of the device also showcases the glossy glass finish with a colored gradient look. The back of the devices will come with a Huawei branding towards the bottom of the device and Leica branding just below the camera setup. Moving to the front, we can see the notch on the device along with a slightly thick chin at the bottom of the display. P30 Pro renders also indicated a dual-curved display. Additional images of the devices indicate that we can expect the power button and the volume rocker on the right side of the device. Contrary to the previous reports, Huawei P30 Pro is likely to only come with a triple camera setup instead of a quad camera setup. 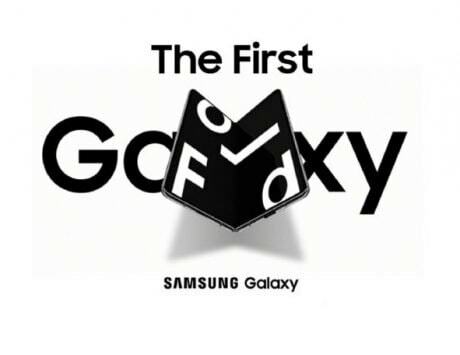 Though, the device will still include a ToF sensor on the back. 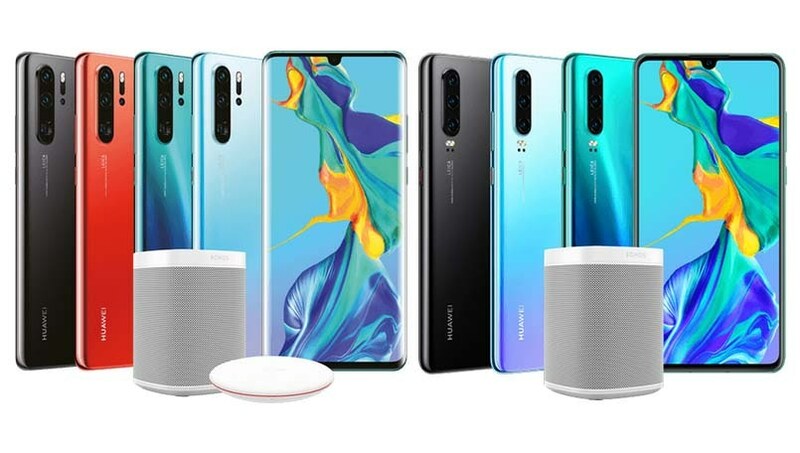 In addition to the smartphones, marketing material also includes a Sonos-branded speaker along with what appears to be a wireless charging pad. It is unclear but the Sonos speaker is likely to be a smart speaker with a digital assistant built-in. One of the images also revealed the design of the Huawei Watch GT. 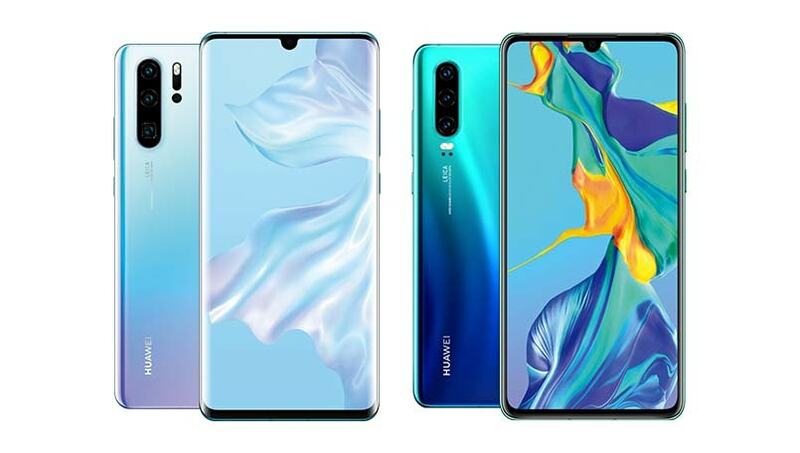 Taking a closer look, it looks like the Huawei P30 will come in three colors including Coral Blue, Ice Blue, and Black while the Huawei P30 Pro is expected to sport Red, Ice Blue, Black, and a dampened shade of Coral Blue. The final marketing names of these colors are likely to be different. The renders in question came from MSP, and noted leaker Evan Blass. 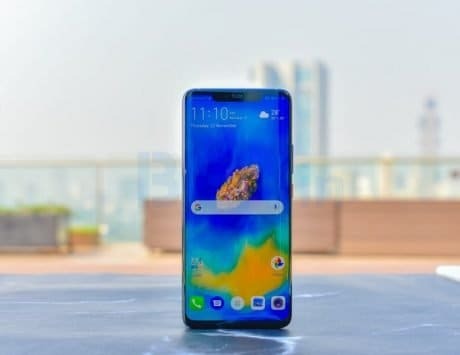 The report by MSP also noted that the P30 will sport a 5X hybrid zoom while the P30 Pro will come with 10X hybrid zoom. 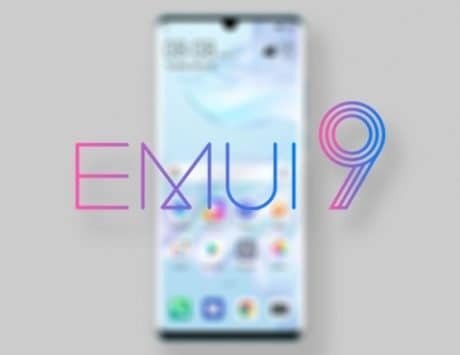 The leaked images confirmed that the devices will come with in-display fingerprint scanner along with 40W Huawei SuperCharge support for the P30 Pro and the 22.5W super charge support for the P30.